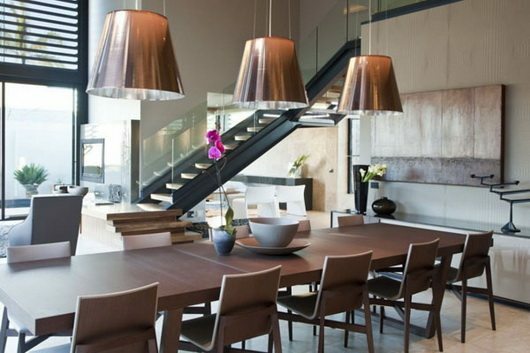 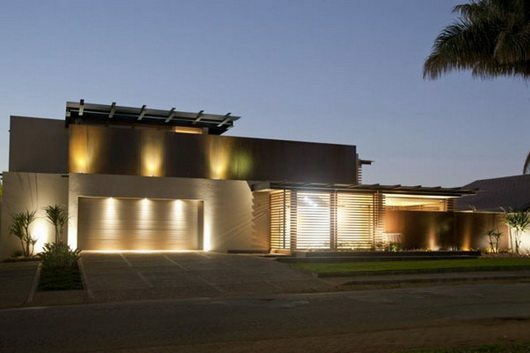 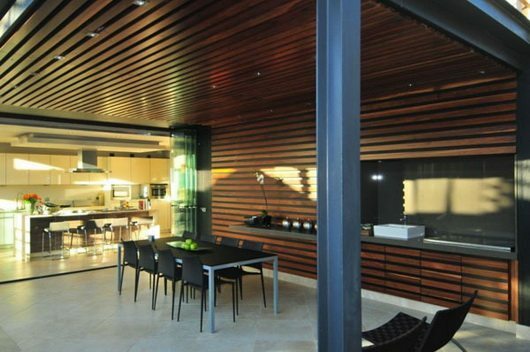 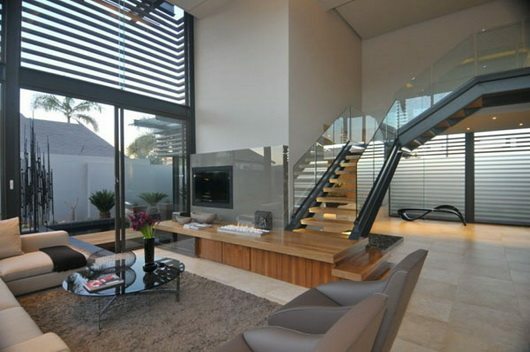 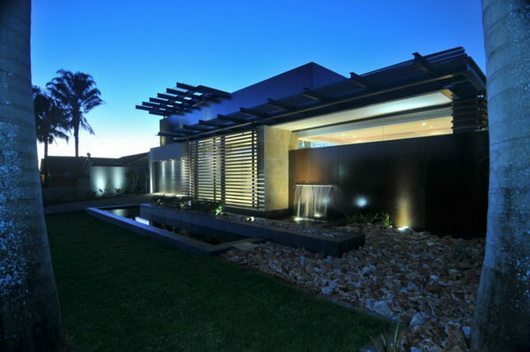 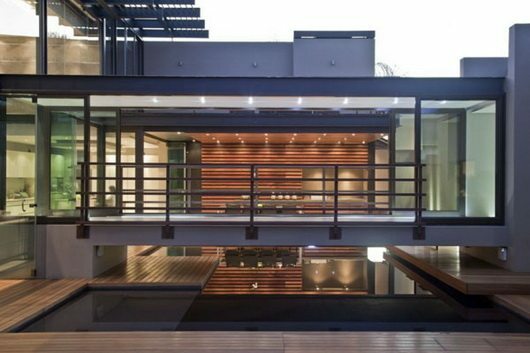 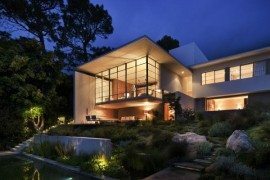 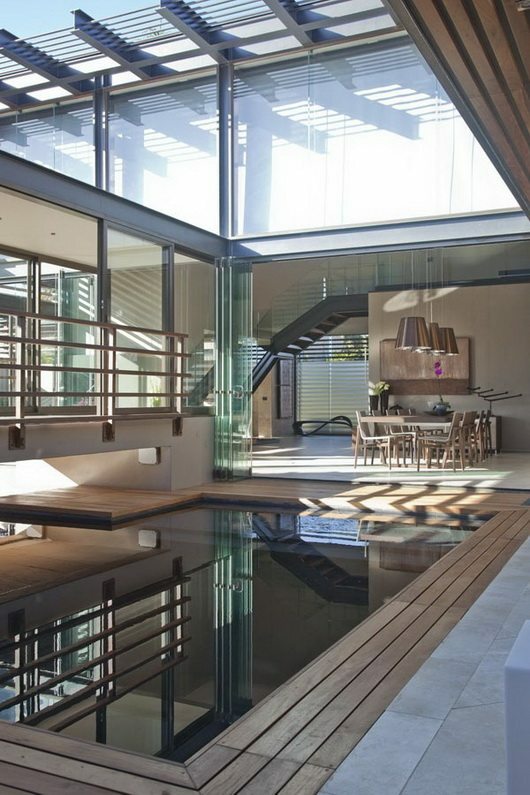 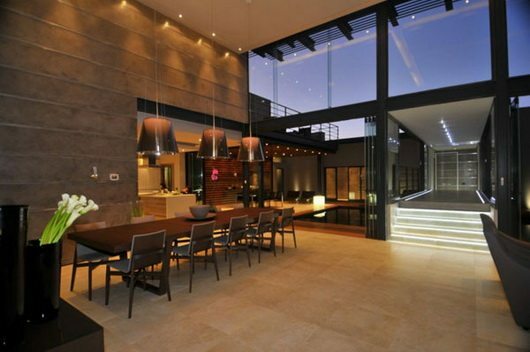 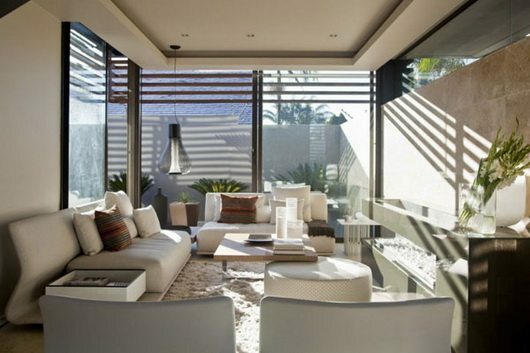 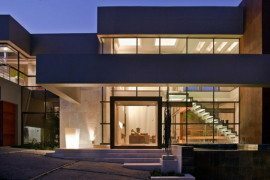 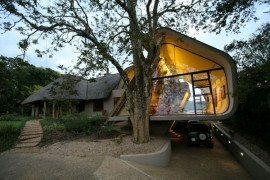 This beautiful and original modern home is designed by Werner van der Meulen architects and located in South Africa. 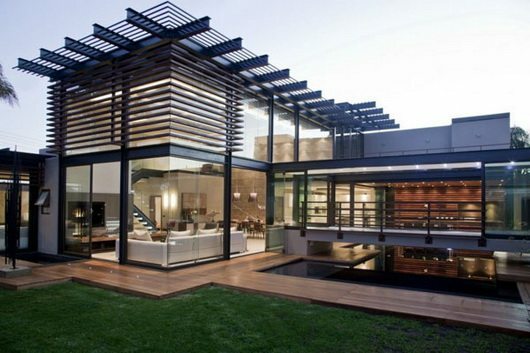 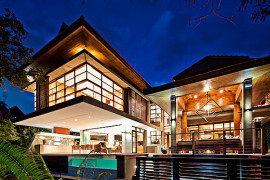 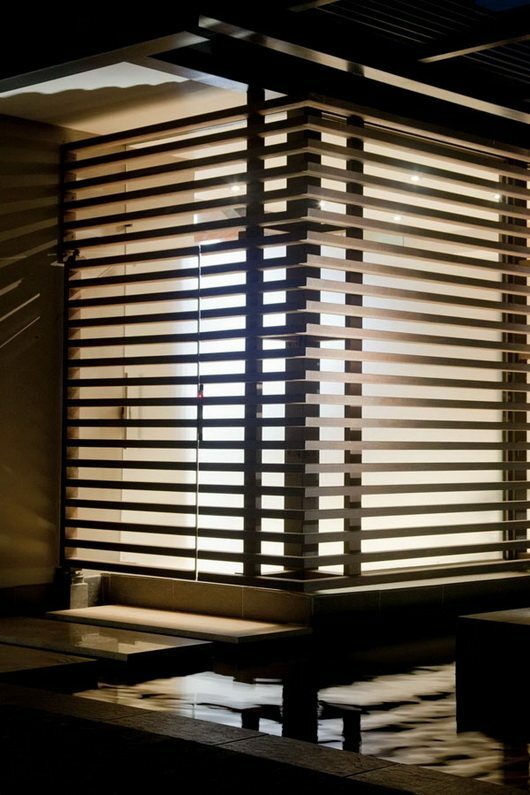 The floor to ceiling windows allow an unobstructed interior-exterior connection.The wooden grid encountered at the windows and eaves acts as blends and sets the tone to the composition. 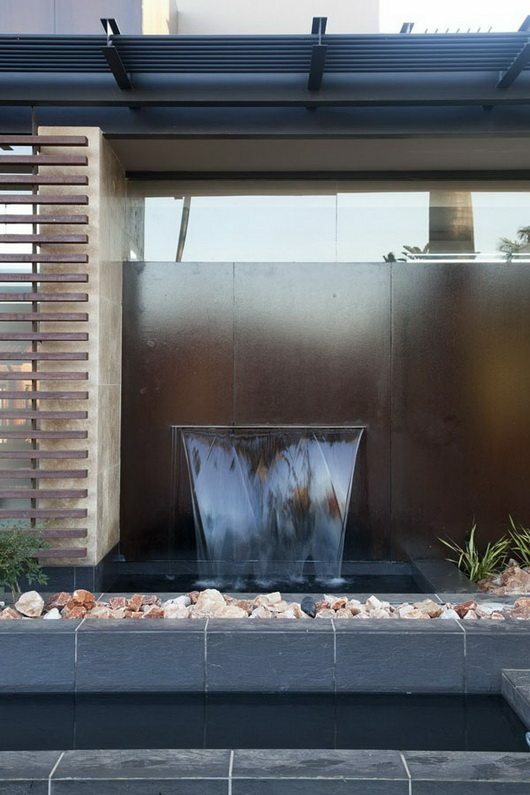 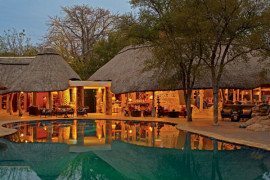 Another focus element is water, found here and there throughout the layout, be it in the pool or the waterfalls decorating the small oases around the house. 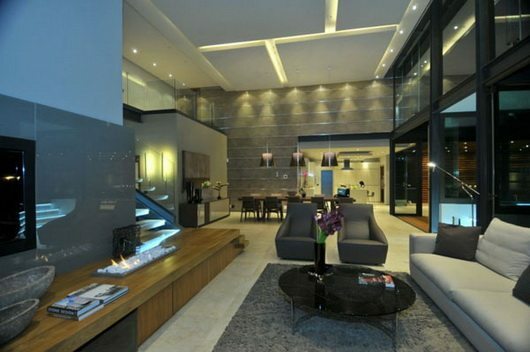 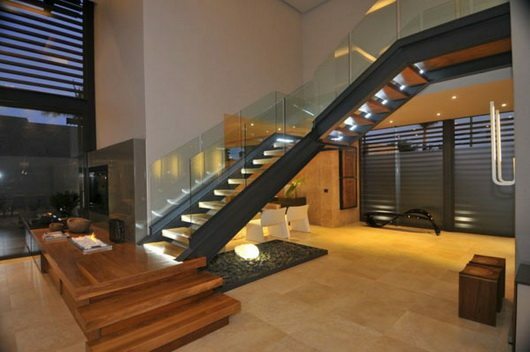 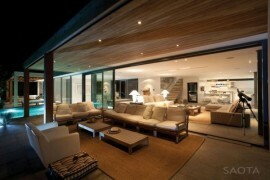 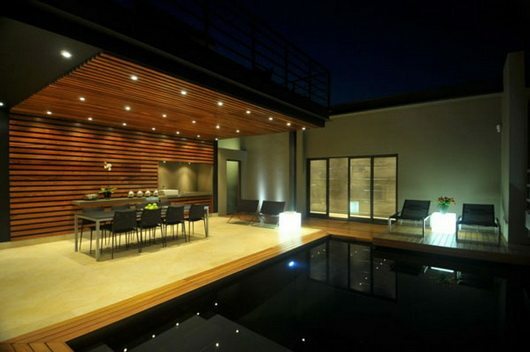 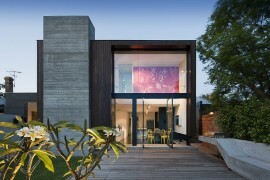 The house is a clear blend of simple volumes complemented by flawless lighting and natural elements. 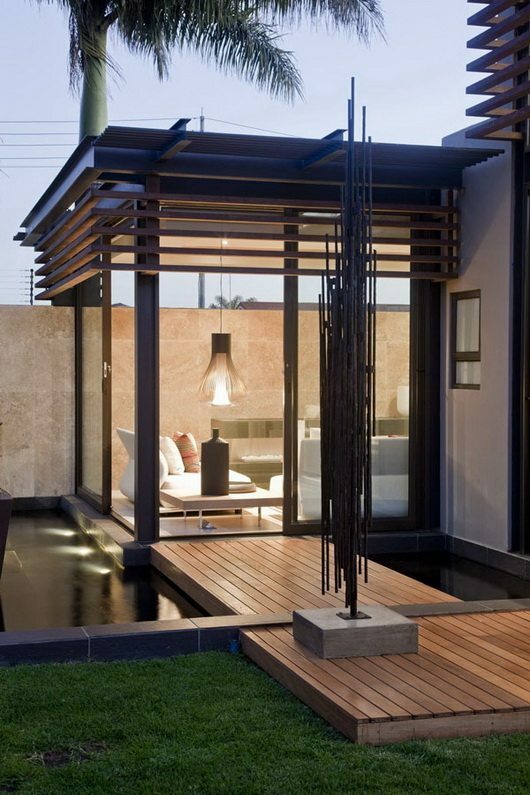 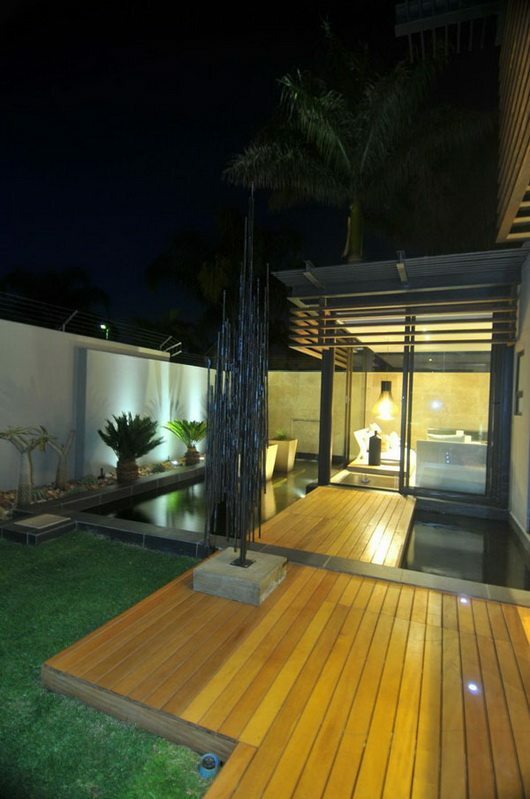 What intrigues is the porch passage over the pool, the elegant dining area extended in the vicinity of the pool and the terrace, decorated with a rough and abstract steel sculpture.